Can The Contraceptive Pill Make You Depressed? As per anecdotal accounts, contraceptive pills and depression tend to have a connection. In fact, depression is among the primary reasons why most women quit taking these pills. However, there hasn't been a lot of medical information proving the relationship between a birth control pill and depression. In this article, we'll throw some light on this topic and also discuss how to reduce the impact these pills could have on your emotional health. A birth control pill comprises of hormones, which alter your reproductive organs' functionality and thereby help prevent pregnancy. These hormones mitigate ovulation or egg release from the ovaries. Also, they add thickness to your cervical mucus, making it difficult for the sperm to move to the uterus and contribute to fertilization. Depression, on the other hand, has to do with the mind. There isn't any precise information why stand-alone depression occurs in the first place, including a birth control pill's role in it. Depression could be a result of problems relating to biology, genetics, psychology, and environment. In certain cases, depression is connected to a traumatic episode. Though there aren't detailed medical studies proving the link, several women on contraceptives often report feelings of depression. Some experts state depression could be an outcome due to birth control pill formulations and their variances. Another reason could be that most women who suspect an unwanted pregnancy are already depressed. And there are quite a few women who go through clinical depression every year. In certain scenarios, the depression timing could be a coincidence. Despite the evidence not being there, birth control pill manufacturers mention depression as a possible side effect of using the drug. There's a difference between causing a particular condition and contributing to an existing problem. 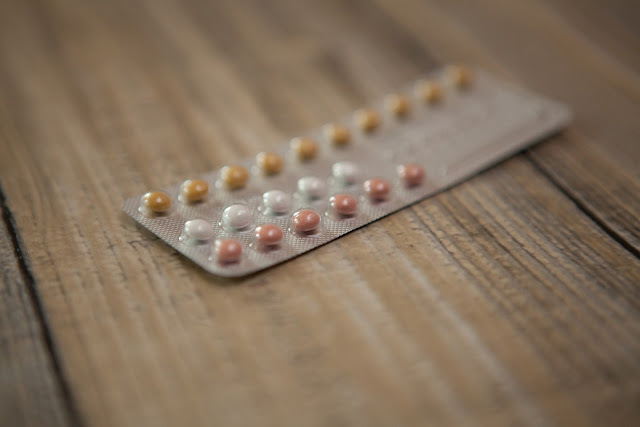 Most studies, though have found links between depression and contraceptive drugs, have not been able to prove that contraceptives cause depression in healthy women. But if a lady is already suffering from depression, the pill could worsen the problem. Note that there could be quite a few side effects to using a birth control pill and depression is certainly not one of the noticeable adverse effects. How To Deal With Depression When on Contraceptives? Depression is a serious problem and should be addressed accordingly. In case you believe your birth control pills are making you depressed, seek professional help. Mental health professionals would usually prescribe antidepressant medicines or put you through therapy to relieve your symptoms. Call your doctor if you are on contraceptive medication and experiencing new depression signs. Also, let your doctor be in the know if the pills are worsening your current depression symptoms. Generally, there isn't any clear or obvious cause of depression. Therefore, directly linking a contraceptive pill to depression would be premature and also unjustified. Anyway, a contraceptive pill should not be a major source of worry, especially if you have never had prior episodes of depression. In the case of any doubt, always talk to your doctor. Do not resort to self-medication.